HK added the VP9, a striker-fired pistol based on the P30 design, in 2014, and it has been a huge success for us. The ergonomic design and interchangeable grip panels make this gun feel perfect in the hands of a variety of shooters. This lightweight, mid-size handgun is very accurate. The gun comes with either the HK glow-dot yellow sights or the TruGlo night sights. 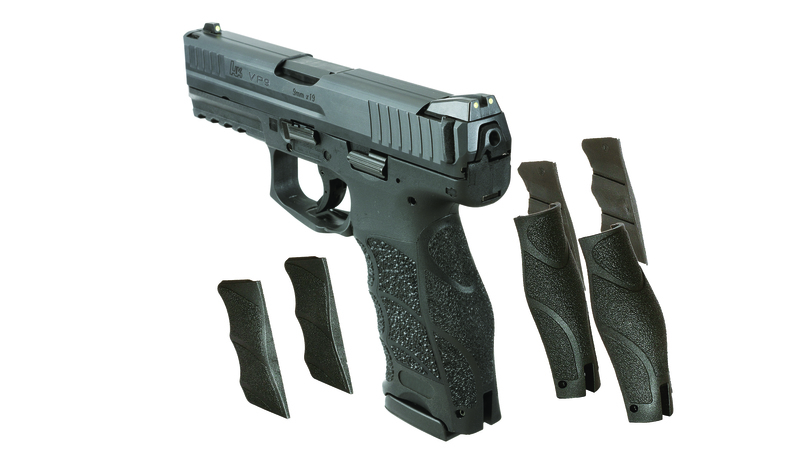 We stock the VP9-LE, which comes with three 15 round magazines and the TruGlo night sights.